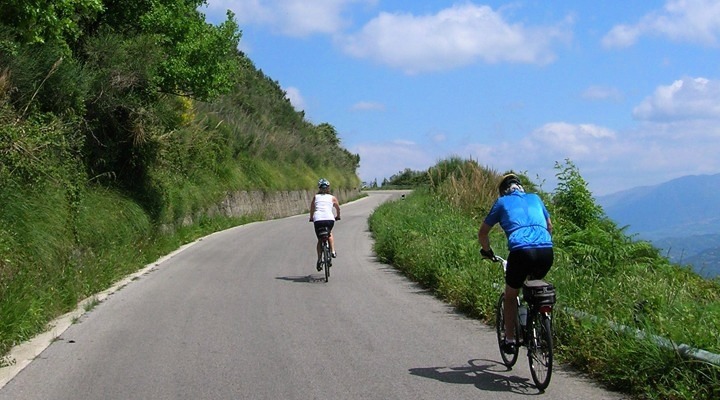 In the saddle of a bike, in the silence of the countryside discovering the Cilento and Vallo di Diano region. A project to open this land to the world and show that dreams can become true. The Silent Way takes its name from the silence, absolute king of Cilento. So difficult to describe, landscapes, colors, perfumes and time mingle in the silence. It is enchanting hearing the silence while the sun is playing hide between the clouds by changing the light in every moment. 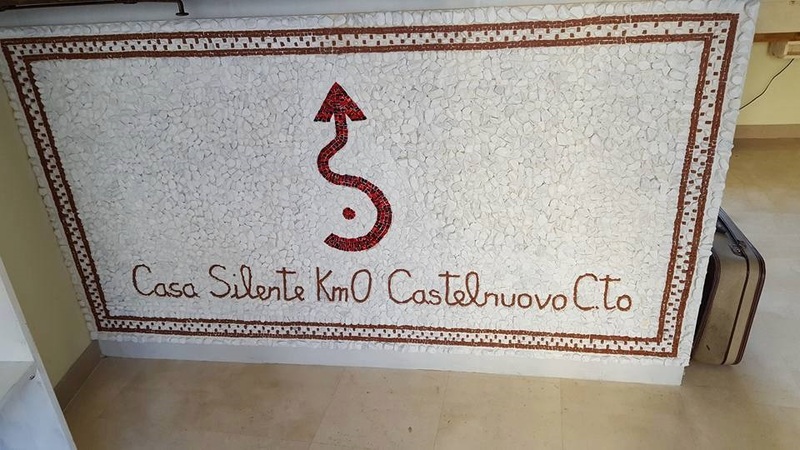 The design of the Silent Way was born in June 2014, when two girls of Cilento, Simona and Carla Passarelli, ride their bike to the discovery of their land. In addition to the bike, their unusual luggage: pencils, sketchbooks and diary. Getting around Cilento for 28 days. This is the duration of exploration. The Silent Way is a slow cycling along a circular road of 600 kilometres, in the silence of a landscape far in time. 15 stops to be accomplished with a slowness to savor each pedal stroke and you will be seduced by that silence which is not the absence of sound but listening quality. Rich in particular, sounds and smells, the Cilento offers wonderful scenery. The Silente Way is an exclusive relationship with nature, with the flowing of the waters and with the sounds of the animals. "To be able to enjoy this particular type of silence is necessary to have a slow approach, and our proposal is right this" - explains Simona. Castelnuovo Cilento, the starting point. From here you start and here you go back. From Silent Way Km 0 begins the adventure on two wheels. With the mountain bike, the map, the description of the stops you start. A network of structures, bike friendly, along the route where the cordiality and hospitality transform the cyclist in someone always known. Developing for 70% on asphalt, the Silent Way crosses areas of low and very low traffic. It is thus that we perceive the pleasure of a small village like Roscigno, clinging to the hillside. 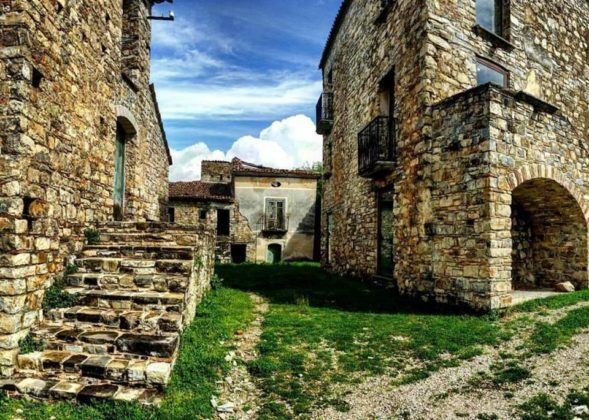 Roscigno, the ghost village of Cilento, where the time is stopped at the beginning of the Twentieth Century. Around the Twentieth Century, the inhabitants were close to leave their homes due the instability of the soil. The square with the fountain where the women washed clothes, the Church Mother, the houses in stone bound with socks and sand, the stables and the cellars recount the ancient rural architecture of a distant epoch. Only one inhabitant of the country, Giuseppe Spagnuolo. He sits lonely under il platano giant or close to the drain. He welcomes tourists and accompanies them to the Museum of peasant art of the country. Also he becomes him-self a museum. 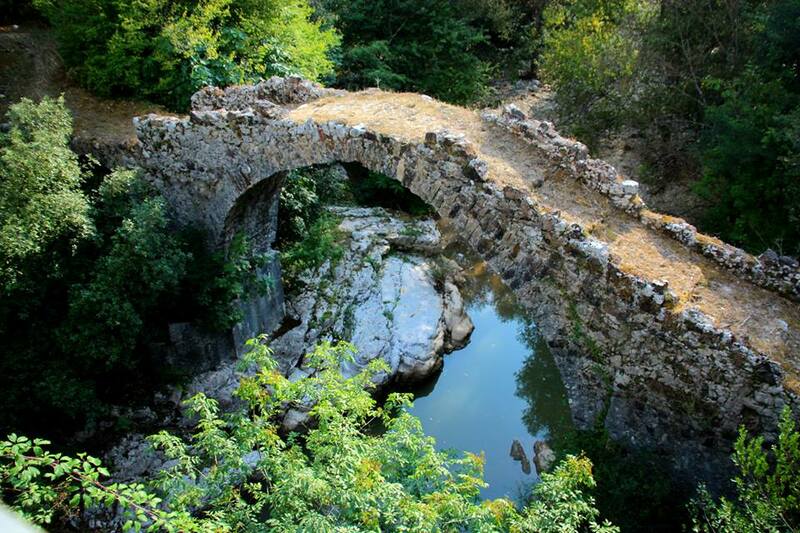 A living museum that tells its story, his country, the stories of those portals and those stones. The Silent Way is a journey of meetings, stories, faces that remain imprinted in the memory. And Giuseppe Spagnuolo is one of those faces. So stop after stop it crosses the National Park of Cilento and Vallo di Diano. The stop more quiet, that connects the valley of the Valle del Sammaro to the Vallo di Diano. In these places the silence reigns supreme. You will ride in the midst of a majestic landscape. On one side the wall remains and rocky Cocuzzo of Apulia, on the other hand those of Mount Motola covered by woods of white Abbot . Downstream Teggiano, built around the Baronial Castle of Macchiaroli. One of the marvels of this Way is located not far from Teggiano: Certosa di San Lorenzo, better known as Certosa di Padula. 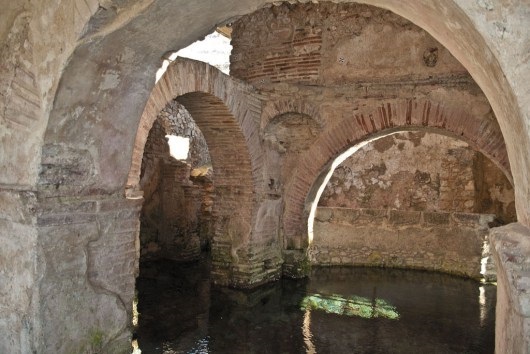 Before reaching the monastery, the Baptistery of San Giovanni in Fonte deserves a visit. This is an ancient Christian settlement of the Constantinian age, single baptistery in Italy for the presence of a source at the center of the Church. From the Vallo di Diano to Cilento. A ride of 40km before you arrive at the foot of Cervati Mount. To Sanza, the Silent Way puts the cyclist faced with a choice: to climb the 1898 meters, the highest mountain of Campania or descend toward Casaletto Spartano with the charming cascade of hair of Venus. For those who have good legs the Cervati is spectacular. 24 km uphill of which most along the dirt road. The last stretch to do on foot by dragging the bike. 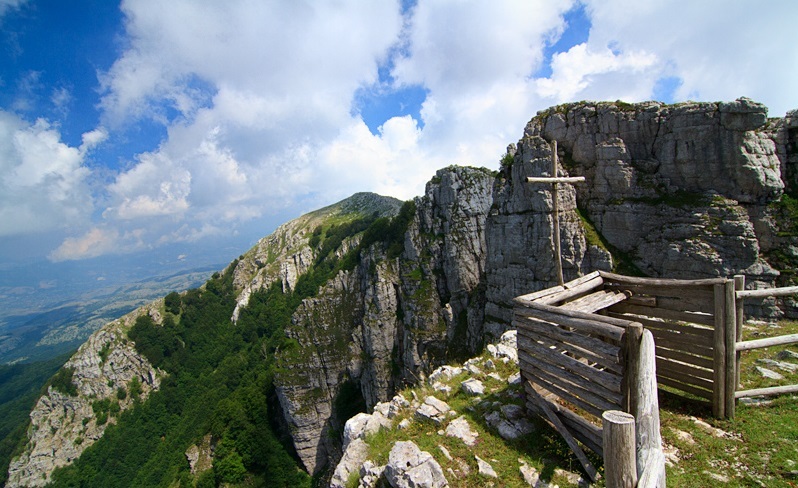 In peaks at Cervati, the Sanctuary of the Madonna delle Nevi where the spectacle of nature has no equal. All around the limestone rock and silence. The point where the Way is so far away from the world but so close to God. From Cervati the river Bussento is born. After a few kilometers the River sinks into a colossal swallow hole. After having crossed his mysterious journey into the bowels of the earth, resurfaces near Morigerati from a cave imposing between canyon high and steep. In 1985 was created a beautiful protected area of approximately 600 hectares, the WWF Oasis. The entire protected area can be visited along an old mule path between lush vegetation. In the oasis a copious source impetuous flows under the mill from the seventeenth century. Back in the saddle, the adventure continues. Close to the sea but still in the green heart of Cilento. On the Way meets Casaletto Spartano that hides another marvel: the cascade of hair of Venus. A small but singular waterfall that is born from the waters of the Rio Bussentino, tributary of Bussento. 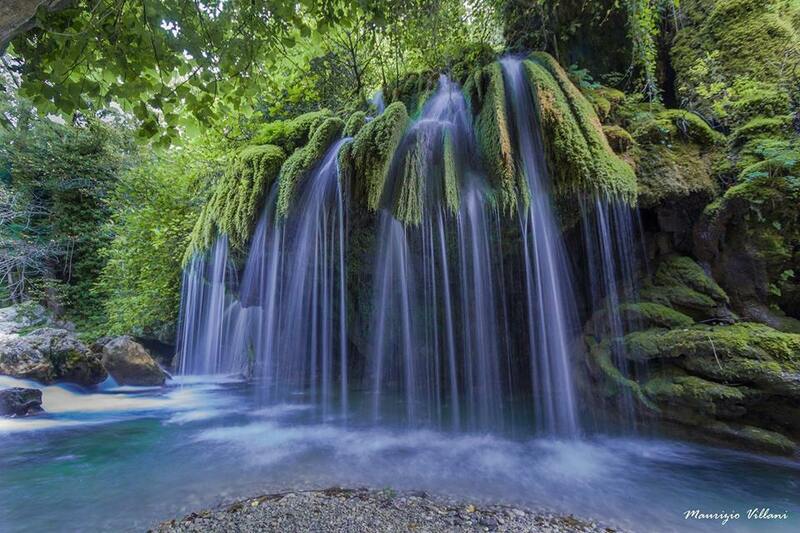 The flow of the water on a thick curtain of moss creates a play of lights and odors between water, musk and steam. A landscape that enchants the gaze and the soul of the cyclist. Finally the sea, after about 400 kilometers immersed in the silence of the inner areas of the Cilento. 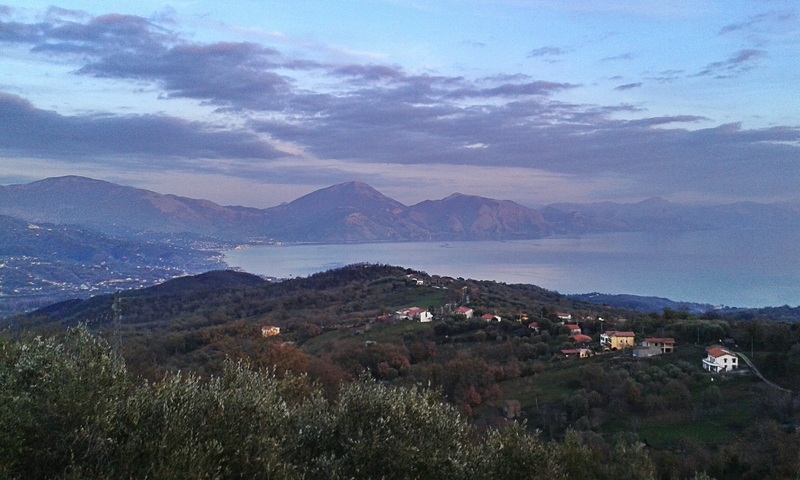 The countries of Villammare, Policastro, Scario overlook on the sea of the Policastro's Gulf. You go back then to Bosco, a natural terrace overlooking the sea. The village is known for the massacre of the population ordered by General Del Carretto during the bourbon repression of 1828. Artist José Ortega, pupil of Picasso chose it as a place in which to spend a few years after his exile. Today his dwelling place has become a museum-house open all days from 15 June to 15 September. The Silent Way continues and from Bosco goes to San Giovanni a Piro. Cycling has never been so enjoyable. On one of the Italian coasts more evocative, the cyclist admires the curved line of the coast of Cilento, which runs toward the Calabria. In the days particularly serene Stromboli reveals its silhouette from the sea, just in front of the Marina di Camerota, the seaside resort of Cilento more many rewarded by Legambiente for the most beautiful beach of Italy. 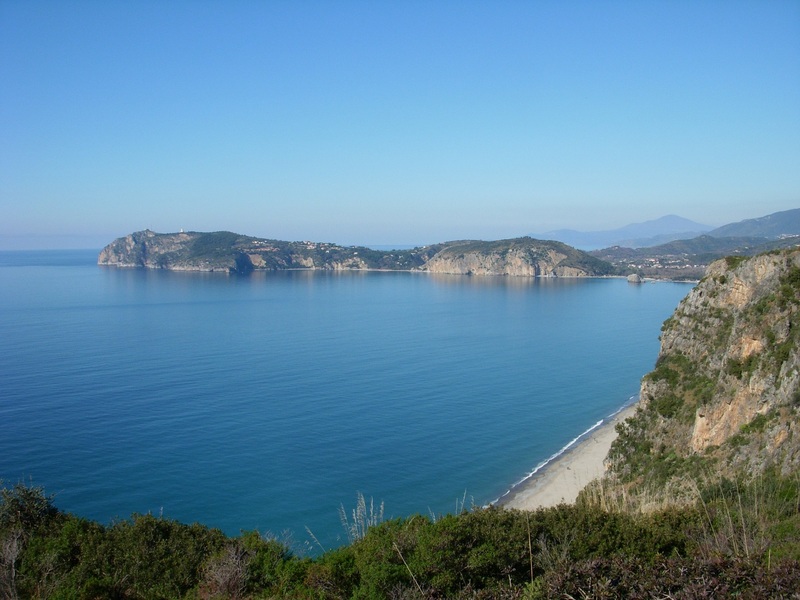 Straiting between the sea on the left and dark cliffs to the right, the cyclist reaches Palinuro, the land where the mythological helmsman of Aeneas rests. Capo Palinuro with its stately profile extends toward the sea. On the top hill the lighthouse, a point of reference for the boat sailing in these waters. Before greeting the sea and dive back into the nature of the Cilento, cyclist stops to stroll through the streets of this ancient fishing village, today one of the most famous tourist destinations in the Coast of the Cilento. From Palinuro to Pisciotta, up to Ceraso and then a last Mountain. This is the Monte Gelbison, according to the highest point of the Silent Way after Cervati Mountain. 1705 meters to climb. Gelbison derives from Gebel-el-son, in arabic upstream of the idol and the name should be attributed to the pirates muslims stationed in Agropoli. 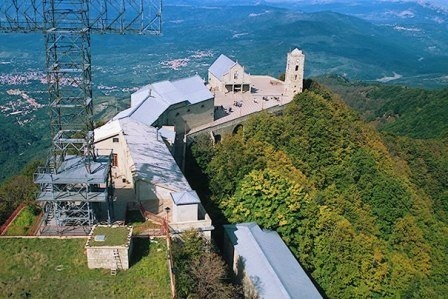 In the top of the mountain, imposing stands the Sanctuary of the Madonna del Sacro Monte di Novi Velia, built on ancient sacred place, perhaps an Italic temple. From there on with a glance you can admire part of the path. The adventure is nearing completion. The last stop is known as the stage of artists. The music and visual arts will take the place of silence. In the summer the large demonstrations calling for collecting the players of the typical instruments of Cilento. Ciaramelle, bagpipes, accordions and flutes. With their music, the Cilento greets and thanks the cyclist for the visit. Not a race against time nor a test of physical force, but an idea of allowing themselves to be distracted from an environmental and cultural context. An idea that reveals the most hidden corners of the National Park of Cilento. Here is what is Silent Way.